Are you trying to find the right Limestone Sealers Dallas support for your stone? If you’re unsure of what needs to happen next, you might be frustrated or discouraged. Cleaning and sealing a stone can be very difficult at times. If you’re not an expert in the field, you may not know what to do next. For more information on the best cleaning and sealing services and products in Texas, read more to discover TSS Pro Sealants. Limestone is one of the most common sedimentary rocks on the planet. It is made up of calcite, aragonite, and many other materials and grains. This is becoming very popular for both residential and commercial use. 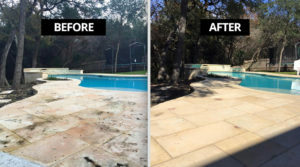 Texans count on this stone to properly accommodate their countertops, patios, pool decks, and much more. Because of this, it’s important to keep it cleaned and maintained. This is the only way to maintain its natural beauty and keep it in the condition you expect it to be in. Limestone is a relatively porous, soft material. Marble is a very popular type of this stone, and many people use this for their indoor floors and countertops. Unfortunately, there are many inorganic and organic harms that can occur and effect this material. Dirt, grime, and moisture can all harm your stone if these contaminants are left untreated. There are other things that can hurt it such as acidic liquids. Bleach and vinegar are two culprits that can cause deterioration in limestone if you apply it to an unsealed surface. This is one of the reason why it is so important to find quality Limestone Sealers Dallas materials. You’re going to need to make sure you have a properly sealed surface before you begin the cleaning process. Even harsh scrubs and brushes can cause permanent scratches and notches on your surface. The last thing you want is a scratched up countertop that takes away from your kitchen’s natural beauty. To make sure this doesn’t happen, lean on our team. We provide customers with an inventory of proprietary sealants that were developed by our sister company in Texas. The professionals on our teams have years of cleaning, sealing, restoring, and maintaining all types of stone. Because of this, we understand what goes into a quality sealant. We’ve used many types of sealants over the years, and our team members know what it takes to identify a quality product. Our lack of satisfaction with some of the “big name” products that are currently on the market is part of our inspiration. We have spent years scraping and maneuvering around low quality acrylic sealants that don’t get the job done. After enough time went by, we decided that enough was enough. Soon afterwards, our team came together to figure out how we can develop a product that would help both us and our valued customers have a better experience. Though it wasn’t always easy, we developed something that we can be proud of. The TSSPRO-100 was our first product to hit the market, and it continues to be one of our bestsellers today. Soon after, we started adding to our lineup. Today, we have plenty of different products that can help our customers get the most out of their stones. Trying to prevent black and brown mold and algae from discoloring your stone? Check out the TSSPRO-700! Looking for something like our PRO-100 sealant but you want something with bigger molecules? If so, the PRO-200 High Performance will suit your needs perfectly. As you can probably assume by now, it can be very tough to figure out what exactly you need if you’re not experienced in this line of work. Because of this, we highly suggest calling us and consulting with our professionals. We can provide you with the expertise you need to make sure you make the right choice. Every stoned surface is different, and our team understands this. If you’re trying to find a group of experts who can help you find the answer to your problems, we’re here for you. Keep in mind that it’s important to make sure your limestone is sealed, but cleaning after the sealing process is over is vital. As previously mentioned, cleaning an unsealed limestone surface can really cause damage if it’s not handled properly. Make sure you don’t have to go through this by properly sealing your surface. After that is dried and cured, try to keep up with it by regularly cleaning it. 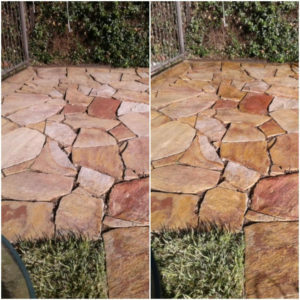 Things such as sweeping and mopping can go a long way towards keeping your limestone in great condition for years to come. Even things as simple as wet leaves can cause discoloration and stains that will be expensive and time consuming to move. You might feel like you’re struggling with this, and we understand the frustration. Making sure you keep up with cleaning on a regular basis can help you avoid going through a heavy duty cleansing process. Finding the right Limestone Sealers Dallas solutions for your specific needs isn’t always easy. You’re going to want to make sure you take the time to find the perfect professionals who have experience with handling situations like yours. If you’re ready to start working towards an answer to your problem, our experts have what it takes to help. For more information on how we can assist you, call us today at 888-958-0556. Dallas is the third most populated city in all of Texas. Oil and cotton was once the backbone of Dallas’s economy. While this continues to be a source of income for the city of Dallas, we have evolved into a much more modern, well-rounded place. Today, many businesses are relocating here to thrive and seek new opportunities. If you’re someone who’s trying to immerse yourself in the business world, this is the place to be. There are countless entrepreneurs in The Corridor area. If you’re someone who wants to surround yourself with Fortune 500 companies, visit Dallas today.